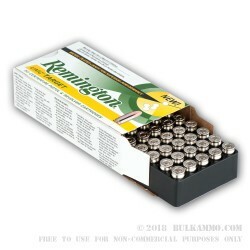 Since 1816, Remington has been one of the most recognizable names in the American Arms and Ammunition market. 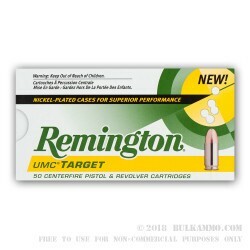 Remington has served the military, law enforcement, hunting community and shooting world for over 200 years, and going strong! 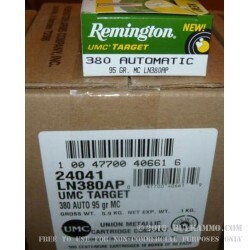 Remington UMC 380 ammunition is produced on quality machinery and built to the highest levels of reliability. 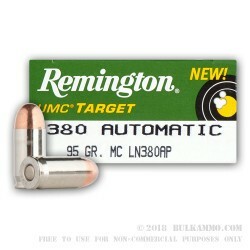 This Remington UMC .380 MC ammunition is ideal for your next trip to the range. 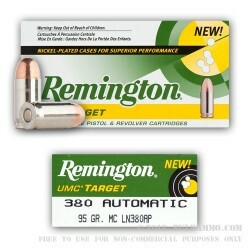 This ammunition is specifically designed for use in your .380 pistol for target, plinking and training. 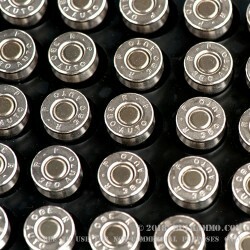 Nickel Plated casings allow for easier loading and protect against corrosion. 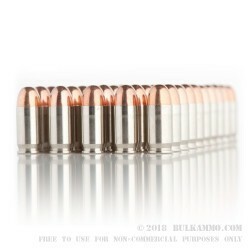 Ammunition is new production, nickel plated brass. 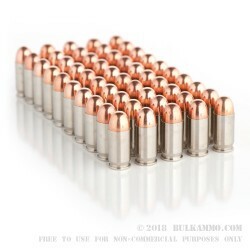 Velocity is 995 feet per second. Energy is 190 foot pounds. Boxer Primed. 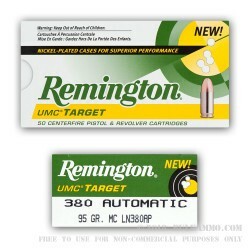 Reloadable.